We offer yoga and much more with the following regular weekly and monthly classes. If you are new to yoga and wondering which classes are suitable for beginners, you might like to try: beginners, gentle, hatha, sadhana, and lunchtime yoga. This flowing yoga class allows participants to connect deeper with each pose, become more aware of their body and optimise their practice. Focus is on the technical alignment of asanas, breathing and the use of props to help cultivate strength, stamina and flexibility. Alignment Flow is quite a strong and powerful class so previous yoga experience is recommended. An energetic and fast-paced practice based on a fixed sequence of flowing postures. It can be quite challenging for beginners and those less physically able. Frequent practice is advised (e.g. at least three times per week) to benefit most from this practice. Beginners class are suitable for complete beginners or those who have a little experience. The classes will include posture work (asana), simple breathing practices and relaxation.Suitable for all. Toni Franklin has just started her training with the British Wheel of Yoga. and part of that training means starting to teach her own beginners classes. If you have particular health or physical problems and feel you need a more experienced teacher this class may not be suitable for you. Please contact us to discuss this. This class begins with simple breathing practices to relax and prepare for Yoga Nidra. The Yoga Nidra practised is a simple technique adapted by Swami Satyananda Saraswati. It is a systematic method of inducing complete mental, emotional and physical relaxation which is suitable for all, with breath awareness, body scan, sankalpa and visualisation. This class is suitable for beginners. Experience the health benefits of yoga with the use of chair. This is a very gentle class suitable for beginners, men and women with physical limitations, e.g. difficulty sitting and kneeling on the floor; those recovering from ill health or surgery or those simply seeking a gentle class. This early morning meditation session will include mantra and an extended period of silence. 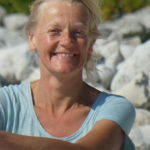 Marj’s personal meditation practice is Self Enquiry in the Advaita Vedanta tradition and ideally this will appeal to those with some experience of meditation ( in other traditions), but beginners are welcome. Practising together at this time of the day will bring benefits of peace and clarity for the day ahead. Gentle yoga is suitable for beginners, or for those who have some experience of yoga but want to go at a slower pace. The class includes gentle postures (asana), breathing practices, meditation and relaxation. Gentle Years Chair Yoga is a specialised class aimed at the over 60s, with gentle yet invigorating movements designed to strengthen muscles, increase flexibility and mobility, as well as to promote an all round sense of well-being. Chairs are used for seated exercises and to aid in balance when exercising from standing. If you suffer with arthritis, have had a hip or knee replacement, falls, suffer with diabetes, high blood pressure, post stroke, MS or anxiety & depression to name only some of the conditions, this may well be the class for you. All postures can be modified to suit you on the day and as a Physiotherapist as well as a Yoga Teacher I will be ensuring you work safely. Gentle Years Yoga is fun and working with like-minded people you will become stronger, fitter, more flexible and find yourself able to complete everyday activities with greater ease. Gentle Years Yoga is designed to improve the quality of daily living, bringing greater strength, flexibility and mobility. Balance and co-ordination will improve too. In addition, cognitive skills may improve due to some of the more meditative and playful aspects of the sessions. Gentle Years yoga is all about you as a whole person not one part of you! This class will offer a relaxed, friendly and accessible approach to yoga for all ages, men and women with adaptations to suit each individual. The teaching style is to help you gain strength, flexibility and awareness of how your body moves by using physical, breathing (pranayama) and mindfulness practices. Intermediate classes are suitable for those with several years experience, and are looking to work a bit deeper in the postures, breathing and meditative practices. The classes will include core movement principles and tools to expand your yoga beyond the mechanics of physical exercise to an enriching and complete practice. Classes will generally be a slow, absorbing way of working with attention to detail. Eclectic in terms of drawing on different styles of yoga. These specially extended Jivamukti yoga open classes will explore the Focus of the month teachings. Jivamukti yoga is a path to enlightenment through compassion for all beings. Each month one of the senior teachers of the method, from around the world, will write a short essay relating to an aspect of yoga philosophy. This is what we will explore in each class. An open class is open to all levels, although a little previous experience is preferred as the class is taught with very little demonstration. The class will consist of chanting, vigorous asana, pranayama, meditation, and relaxation along with discussion on the months focus. Leanne is a 300hr Jivamukti yoga teacher, 500hr BWY teacher and Thai Yoga Massage practitioner so expect hands on assists and massage during the class (if you would like). Yoga for children provides children of all ages with a rewarding physical and mental experience by incorporating the core values of Yoga and the Montessori teaching method. Kim trained with YogaBeez which is built on the foundation of respect for the child as an individual creative being. Emphasis is placed on educating, empowering and exercising the WHOLE child. This is a general level Kundalini Yoga class which is suitable for all levels. Beginners always welcome. It begins by tuning in with the Adi Mantra, a warm up if appropriate and then the Kriya, or Yoga set. Kriya means ‘completed action’ and will include working on the breath (Pranayama), postures (Asana) which may be dynamic or static, Mantra (Sacred Sound) and Mudras (hand positions). Classes end with a deep relaxation followed by a meditation, and then tuning out to close. Kundalini Yoga is a Raj Yoga, a Royal Yoga which was brought over to the West by Yogi Bhajan in 1969. Yoga has many positive effects on the body; helping to strengthen and balance the spine, aiding in flexibility and mobility, improving awareness of and connection to the breath. In addition the nervous system will benefit, as well as the immune system and general glandular health. Regular meditation helps to release old, unconscious patterns. Classes leave you feeling relaxed, energised, and joyful. An hour class to fit into your lunch break, with asana (postures), breathing and relaxation, suitable for all. This is a general class suitable for women/men who are both new to yoga or have some previous experience. The class is friendly and relaxed and adaptions are made to suit individual needs. There is an emphasis on detail, precision and alignment in asana (postures), to bring about optimal stretch, ease and release in the body. Pranayama (breathing), relaxation and meditative postures are also practised as part of the holistic approach. Plenty of hilarity and fun! Pilates improves flexibility, builds strength and develops control and endurance in the entire body. It puts emphasis on alignment, breathing, developing a strong core, and improving coordination and balance. Pilates’ system allows for different exercises to be modified in range of difficulty from beginner to advanced. Intensity can be increased over time as the body conditions and adapts to the exercises. A post-natal yoga class for women who have had a baby in the last year. What will it involve? Full health questionnaire, diastasis check (abdominal separation), how to support it, appropriate exercise, alignment, breath awareness, nutrition,relaxation, and lifestyle. Suitable from your GP check, babies are welcomed up to crawling. This class includes flowing sequences as well as longer held poses. There is an emphasis on correct alignment and also on understanding how to adapt postures so as to get the most from your practice. Pure yoga will encourage you to focus internally bringing a deep sense of completeness and relaxation. Previous yoga experience is preferable if you would like to join this class. No experience is necessary, in fact most women have never done yoga before. It is a great introduction to yoga and gets most people hooked! It is also a great way to meet other mums and families. Cost: £32.00 for 4 weeks, from 37 weeks £8 pay as you go! Qoya is a movement system for women, it is movement with meaning. It’s based on the idea that through movement we remember. We remember that we are wise, wild and free. Wise from the wisdom of yoga, wild from the creative expression of dance and free from the experience of feminine movement; to slow down and move in a way that our bodies want to move. It draws on ancient Peruvian practices and enables us to get more out of our heads and into our bodies. that it feels good. No experience of any of the above is necessary at all. In Qoya we focus on how it feels, not how it looks. Each and every movement we do is led by you and your body, we each do what feels right for us in each moment. Qoya enables us to access the inner wisdom that exists in all of us and when we cultivate this we are able to experience it not only in the Qoya sessions, but in our lives. Each Qoya session has a theme and is all taught to a different amazing sound track each time. Cost: £12 per session or a block of 5 sessions for £50. Rajadhiraja yoga is an all-round systematic and scientific process for the development of the body, of the mind, and of the soul; leading to the total experience of the Infinite – what in yoga is called ‘self-realization.’ Its goal is the all-round elevation of human beings, both individually and collectively. Using the 8 limb structure as its basis and by including some more recent additions, it brings into relevancy the whole practice for modern day society. It not only tones the muscles and increases strength and flexibility, but it also benefits us emotionally. When we practice yoga postures according to rajadhiraja yoga, there is a profound effect of balancing and harmonising of our endocrine system, so the emphasis is not so much on vigour of execution but on proper breathing, proper positioning and a quiet but persistent flow of movement, which then results in a general sense of wellbeing. Yang style, chi kung, pushing hands and sword form.T’ai Chi Chuan is an ancient Chinese martial art, a combination of movement and meditation. It has both physical and mental elements. T’ai chi provides a physical work out which strengthens the musculature, tendons and ligaments. The art also stimulates the skeleton to strengthen the joints and boost the immune system. With regular training, participants learn to focus the mind to develop a new level of mental clarity and concentration. That is why t’ai chi is renowned for reducing stress by active relaxation. Do You need some space, time, energy and nurturing? This monthly workshop aims to support you in exploring, creating and sustaining true well being in your life with Yoga, Life coaching, Healing, Music, Deep Relaxation and Meditation. The word ‘vinyasa’ comes from Sanskrit and means ‘to place with special awareness’. In this open-level class, we will be working on synchronizing breath and movement as we flow through a physically challenging, moving meditation. While the pace, style and intensity vary, an emphasis is placed on harmonising and transitioning movements of the body and breath in creative sequences. This class is dynamic, open to all, always different, and will include breathing exercises, meditation, and chanting. While each class is varied, it is guaranteed to focus your mind, enhance strength and mobility, and leave you with a sense of renewed vigour and inspiration. Infused with essential oils and a playlist to enhance your overall sensory experience, this class is guaranteed to focus your mind, develop strength and mobility and leave you feeling inspired and re-invigorated. A Somatic yoga class for all women and in particular women of all ages who may have PCOS, Endometriosis, Fibroids, Severe PMS, or other gynaecological pain or inflammation. All levels and beginners welcome. Its a gentle yoga class, with the aim of teaching you yoga, breathing and mediation skills to help manage your pain and fall back in love with your body. Yin yoga is a slow-paced style of yoga with postures, or asanas, that are held for longer periods of time. Enjoy long held floor based postures to revive and invigorate your energy, combined with mindful awareness of body and breath. Yoga for Back Care is designed for people with non-specific chronic/recurring low back pain. Includes proven techniques, providing lifelong skills to improve both physical and mental health. Research Trials: University of York (York Trials Unit, Dept of Health Sciences) / Arthritis Research UK. Yoga Sadhana is the practice of yoga in its broadest sense. This involves hatha yoga practices such as asana (postures), pranayama (breathing) as well as meditation, drushti (gaze), bandha (energy seals) and mudra (gestures). It aims to allow yoga to improve your lifestyle through increased awareness of diet and codes for living (yamas & niyamas). We explore classic yoga postures as well as using the principle of vinyasa krama to take you safely, step by step, deeper into the practice. Classes are for all levels of ability/experience but do require commitment! Yoga is about lifelong learning and there are no quick fixes. Yoga is ideal for dealing with a range of health issues. It will help existing conditions but really is about investing in your long-term health & well-being. Practiced regularly it will leave you feeling great and will help to strengthen the body, increase your flexibility, calm the mind and generally change your life! Patanjali’s Yoga Sutra, probably composed around 2,000 years ago, are universally recognised as the classic teaching and ultimate authority on yoga. Amazingly, they are still completely relevant to our life and times. They consist of 195 short aphorisms, because they were designed to be learned by heart. They therefore have to be explained and discussed with a teacher who has learned them with a teacher. Sarah Ryan has been studying the sutras for many years and has a wealth of information. Each session is a mix of teaching, discussion and practice, with one or two sutras studied in depth each week. It is not only very suitable for yoga teachers who can use it as In-Service Training, but also for any student who wants to know more about yoga.